Times are changing at Expo Market, the bustling food hall and gathering place across from Shea’s Buffalo Theatre. Since the hall changed ownership earlier this year, restaurateurs JJ Alfieri, Paul Tsouflidis and Kevin Lin have signed on a wave of new coffee and late-night options, designed to attract a crowd outside the market’s peak lunch hours. 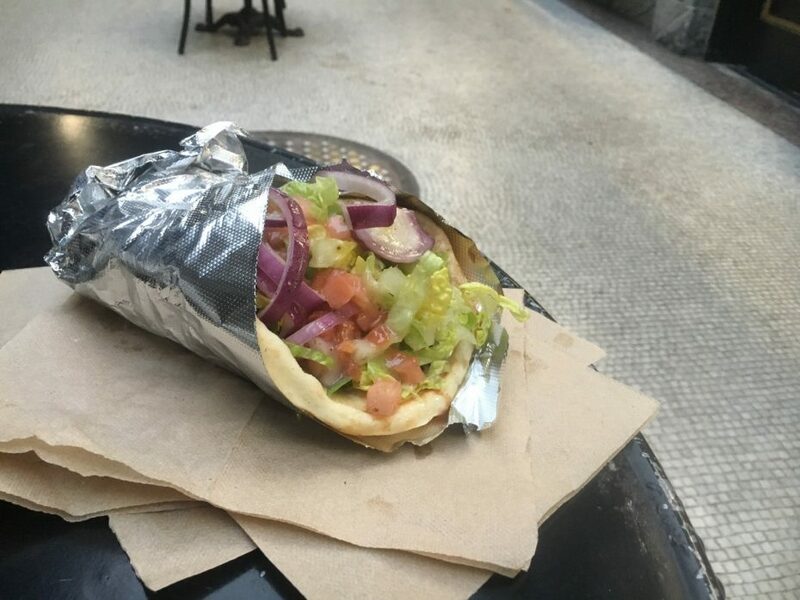 Souvlaki Fast, located in the former Mercado spot, is the first of that new wave to open: It’s fast-casual Greek by way of South Florida, where owner Zafeiris "Roulis" Zambiyadis operates four other locations. The food, Zambiyadis has said, is inspired by a mall food court he and his wife visited in Thessaloniki, Greece. 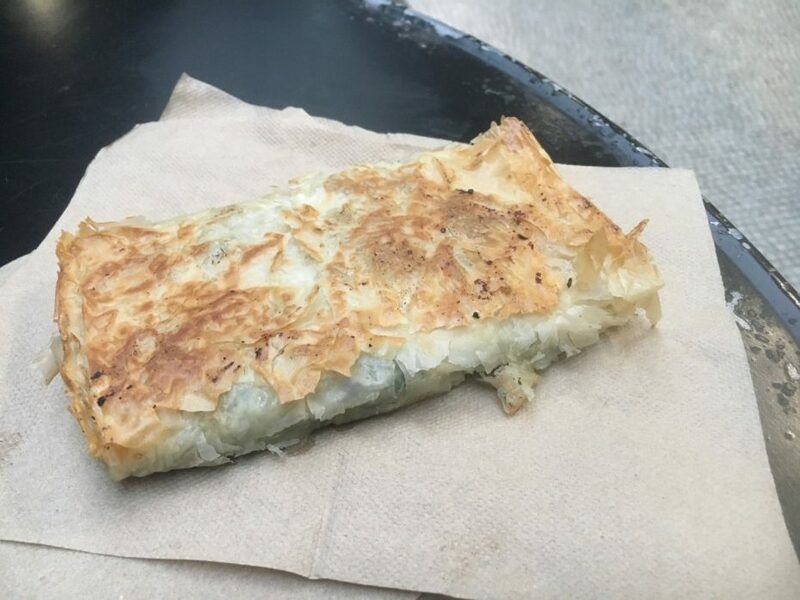 True to that inspiration, Souvlaki Fast’s food is largely simple, no-frills Greek fare, served up in styrofoam clamshells for carting back to the office or chowing down at one of the food hall’s high-tops and picnic tables. The counter also offers a small American menu, including hamburgers, cheesesteaks and chicken fingers. But who wants a burger when there’s gyro to be had? Souvlaki Fast offers a chicken and a blended lamb/beef version ($7.49), both stacked on a vertical spit with fat and spices and roasted slowly until you order it. They come swaddled in pita and loaded with lettuce, tomatoes, red onion, tzatziki and feta. No sign of the French fries that the Greeks wrap into their gyros, alas, but you can grab those as a side for $3. 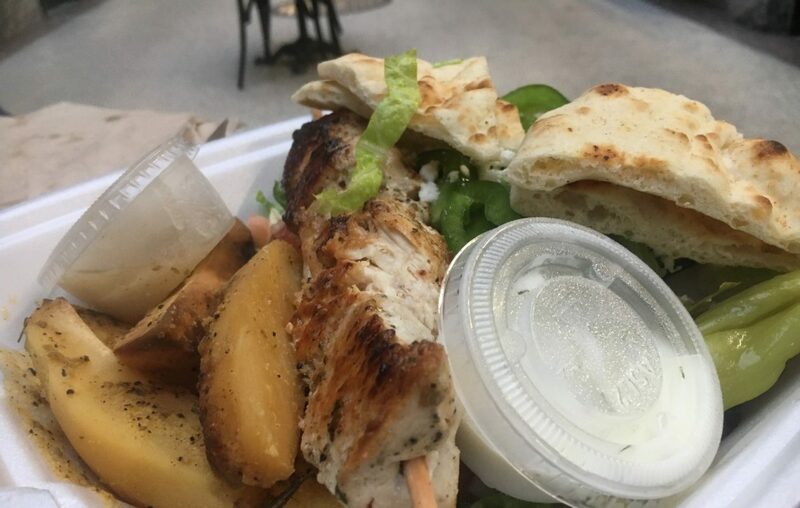 Heartier still are the souvlaki platters (pictured at top), which pair a protein of your choice -- either gyro, chicken, beef, pork, salmon or shrimp -- with rice or french fries, a pita and a Greek salad ($10.49 to $12.49, depending on selection). The chicken souvlaki includes one hefty kebab, marinated with garlic and oregano and grilled on a skewer. For a dollar extra, sub out the fries for lemon potatoes -- thick wedges coated liberally in lemon zest, spices and olive oil. While the souvlaki is the star of the show here, there are other Greek options too. An order of dolmades ($4) includes five tight cigars of lightly seasoned white rice, wrapped in sheets of briney grape leaves. The housemade hummus ($4) is a little light on the garlic and tahini, but chunky with mashed chickpeas. 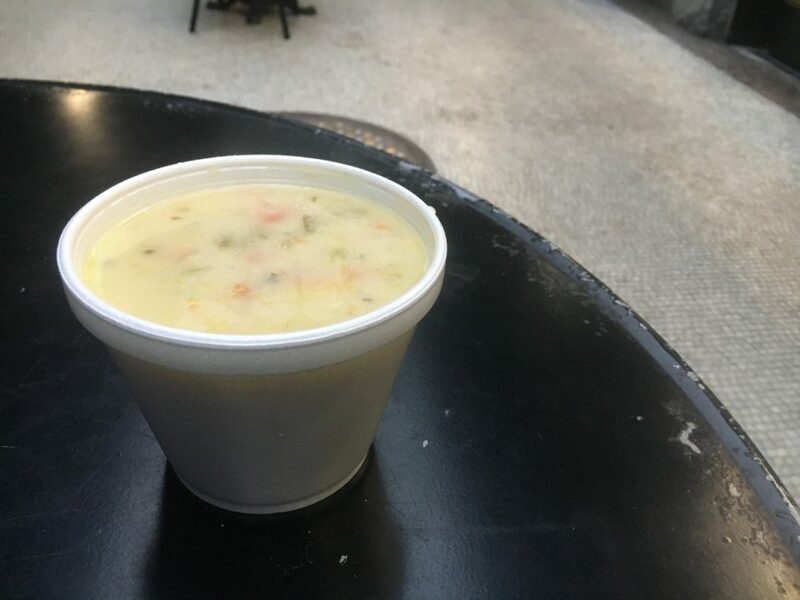 Souvlaki Fast’s take on avgolemono ($4.29), the lemon-rice soup thickened with egg, features a thin, citrusy broth flecked with white rice, carrots and celery. 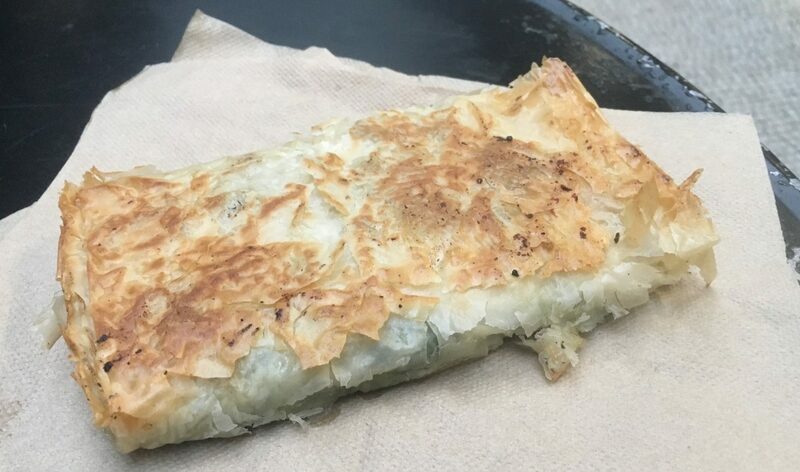 Its spanakopita ($5), meanwhile, comes in a slab big enough to make a meal all its own. This version of the savory phyllo pie, layered with spinach, spices and feta, is particularly generous on the cheese and the olive oil. INFO: Souvlaki Fast, 617 Main St. 855-3976. Hours: 10:30 a.m. to 9 p.m. Monday through Friday; 11 a.m. to 9 p.m. Saturday; closed Sunday.